There is a new hang-out spot in the South! As a Laguna kid, my family and friends’ go-to place is Nuvali, Paseo de Sta.Rosa, or Tagaytay. Well, no surprise there because it has everything we need- cafes, restaurants, and open spaces. But I also know that it is best to avoid those areas this holiday season because the traffic is horrible. Good for us, Chatsi Coffee House & Beanery is very accessible. On top of that, they serve great food! 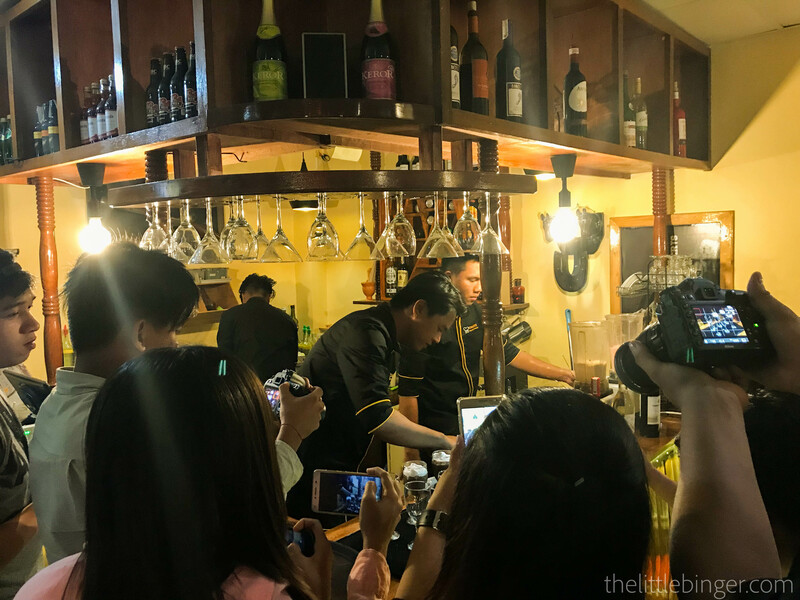 They served us their best dishes and drinks from the menu during the Bloggers Night and I can’t wait to share them all with you! Don’t judge me for starting with alcohol but things that start with a glass of wine or cocktails end up becoming great. And yes, you read that right. Chatsi does not just offer good food and shakes, they also serve wine and cocktails. Take note, though, that these are only available every Thursday, Friday, and Saturday. Well, mid-week to weekends are the best times to have them anyway, right? During the Bloggers Night, the cheery servers of Chatsi prepared three shows for us attendees. They boasted their bartending skills by preparing different mixes of cocktails. We enjoyed the exhibition but most of all, we enjoyed the drinks. I am a mojito fan so I did not miss the chance to forget about my diet for a night and ordered a glass. Every blogger had a designated table that night. Plates of Nacho Mexicano and Quesadilla welcomed our starving tummies. Soon after, the baristas started creating milkshakes as part of the show. We picked between Luscious Strawberry and Dark Chocolate with Cadbury. No doubt in mind, I had a tall glass of the creamy chocolate shake. Just when we thought food serving is over, freshly baked pizza arrived on our table. It was just what I wanted- thin crust pizza with hearty melted cheese on top. Soon after, a sizzling plate of Pork and Tofu Sisig and a bowl of steamed rice were delivered per table. I was starting to give up from eating when we each had a plate of Kare-Kare Bagnet. As I always say, nobody says no to kare-kare. I finished mine swiftly. Did I mention that I am a huge kare-kare fan? The Bloggers Night was a blast. I enjoyed every item off their menu served to us. There is no doubt that I will be visiting this restaurant again. And you should too! NEXT POST Next post: 5 Things You Should Prepare for Generation D!